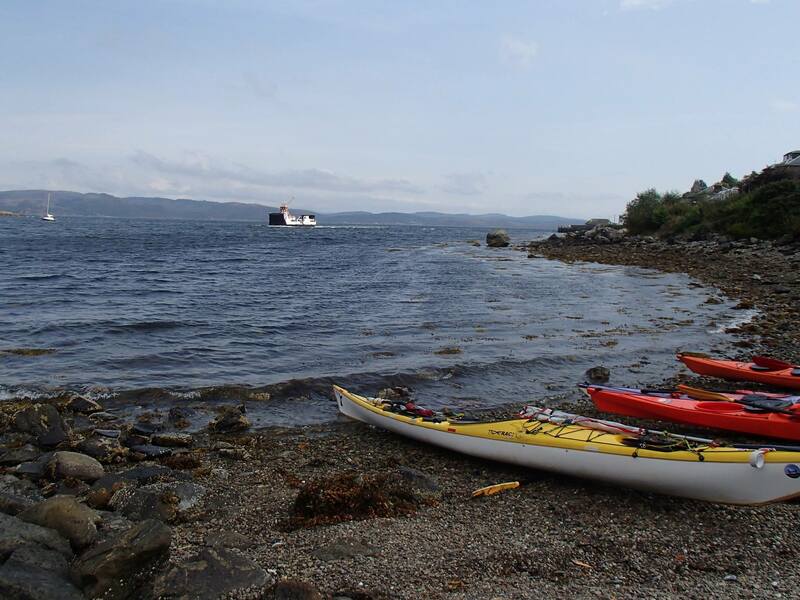 Report: Because one of our group had only the Ardrishaig-Portavadie section of the Argyll Sea Kayak trail still to complete. 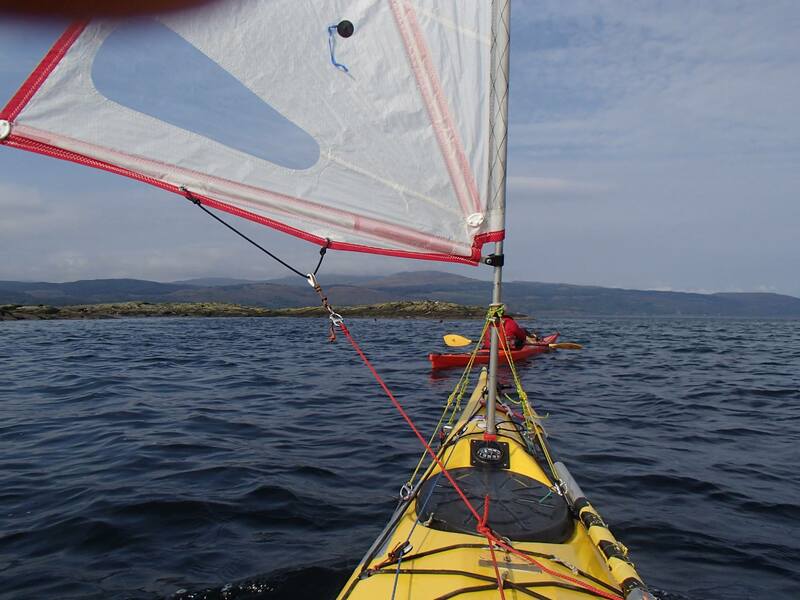 we decided on Portavadie as the launch site. The journey from Helensburgh took just over 1.5 hours and at Portavadie there is a small car park and a rough slip on to a flat beach that dries out at low tide. 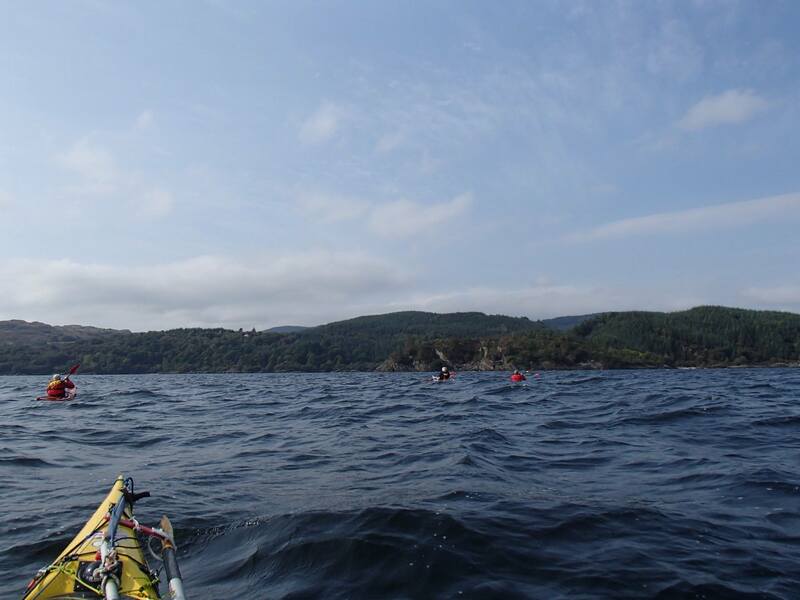 We were on the water at around 10.45. 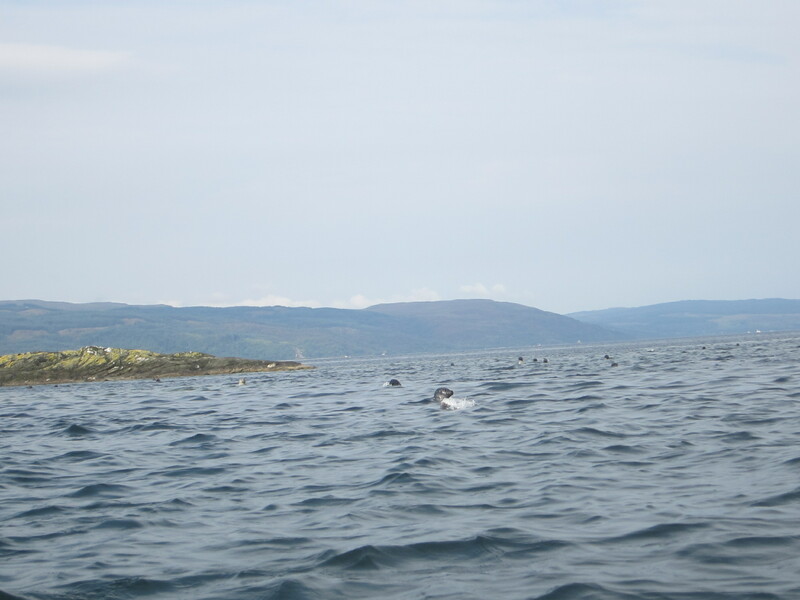 Our intial thought was to go as far north up Loch Fyne as possible. 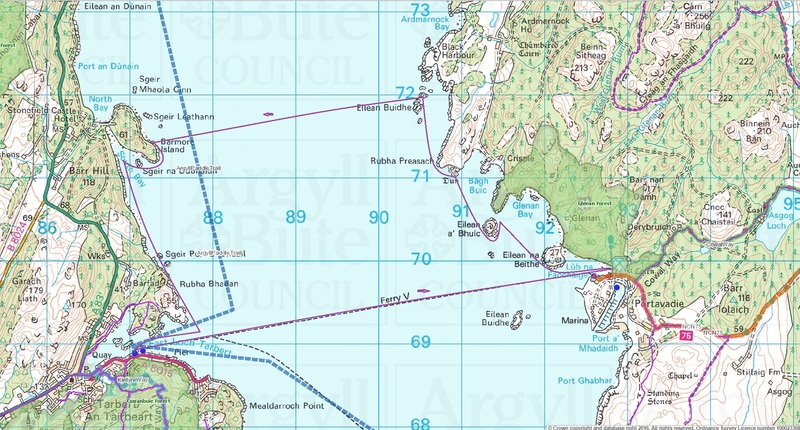 This was then amended as we thought a crossing to Kintyre was more attractive and challenging and, given the strengthening south-easterly there was an easy escape route on the ferry back (compared to a long slog south). The section going north was delightful, pushed on by the southerly wind. 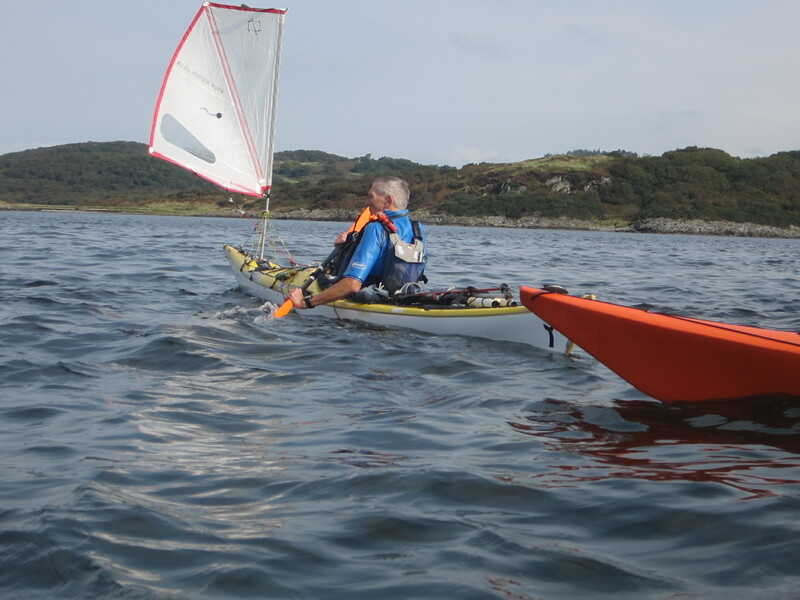 Pete demonstrated the merits of carrying sail and shot away to the islets of Eilean Buidhe where there was a huge sea colony (c 100seals). The crossing to Barmore Island (which is joined to the mainland by a causeway) was quite bumpy and we were all looking forward to the first break. Sadly the beaches that appeared to be quite landable had a fringe of jaggy rocks which when combined with the surf were too high risk. 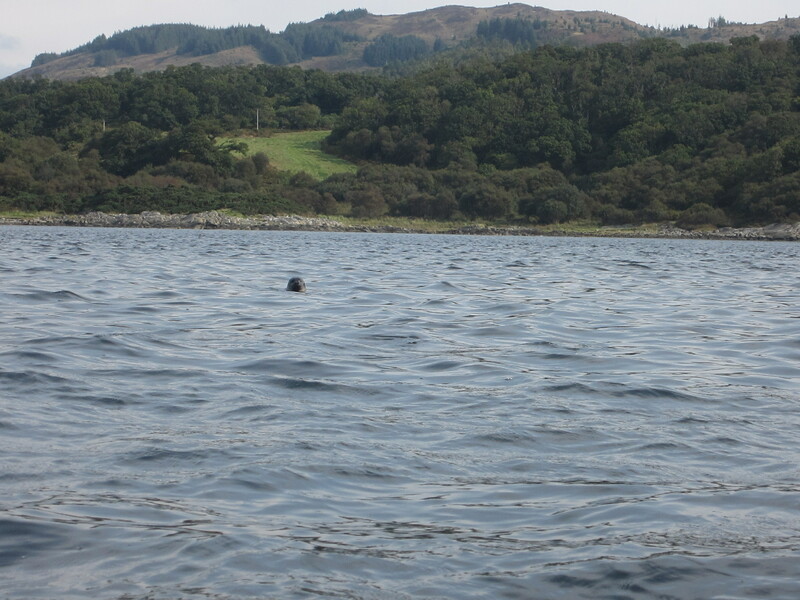 So we struck south into a strongish breeze and some swell to reach the shelter of East Loch Tarbet. 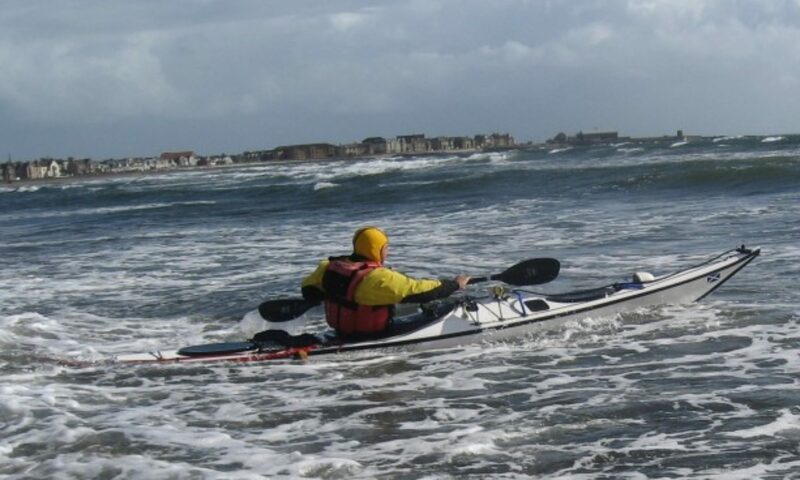 This proved quite tough on the least experienced member who blistered his hands and quite understandably decided to use the ferry escape route. Lunch was taken on the quite pleasant beach by the ferry terminal. N,B. The ferry is hourly and the single fare is £2.60. There is no charge for a kayak.